For questions regarding ordering, payment and delivery, please refer to the Customer Care Center (provided by MyCommerce). To review your orders, please use the MyCommerce ID section in the Customer Care Center. You can cancel any of your annual subscriptions there at any time. If you are experiencing problems with the licensing of Tinman 3D, please refer to Licensing and Pricing. If this does not resolve the issue, please contact us at support@tinman3d.com. If you experience technical problems using the Tinman 3D SDK, please do not hesitate to contact us at support@tinman3d.com. We will help you to solve the problem as quickly as possible. You can find answers to some of the most frequently asked questions below. The downloads are password protected? The Git repository is password protected? Please read the Terms and Conditions (or at least scroll down to the end of the page). You will find the password there. Tinman 3D minimizes the use of #include directives in header files, in order to reduce compilation time and to avoid cyclic include dependencies. Because of minimal use of #includes, the type <some type> is a forward declaration only and thus incomplete. If you get this in one of your source files, add an #include directive for <some type> there. This should fix the problem. Tinman 3D uses separate files (*.h / *.hpp) for template types. Please make sure you include all *.hpp implementations in your source file. Licence key does not work. Please keep in mind that licence keys have metadata bindings, so the same licence key may not work for other users, products, etc. Subscription licence keys (i.e. User, Site and Academic) only work during the subscription period. Perpetual licence keys (i.e. Product, Company and Full) only work for Tinman 3D SDK versions that have been released before or on the date of purchase, plus one year. Please make sure you specify the entire licence key (100 non-whitespace ASCII characters). If you need additional metadata bindings (e.g. more than one workstation, typo in metadata values), you may request extra licence keys. Please refer to Licensing and Pricing for details. You will receive new licence keys for each billing period of your subscriptions automatically. If your User, Site or Academic subscription has ended, you can continue to use your perpetual licence keys. If the renewal subscription of your Product, Company and Full licence has ended, you can keep using the previous Tinman 3D SDK release. The AllowUnlockByEnvironment property can be set to false, effectively disabling all User, Site or Academic licence keys. 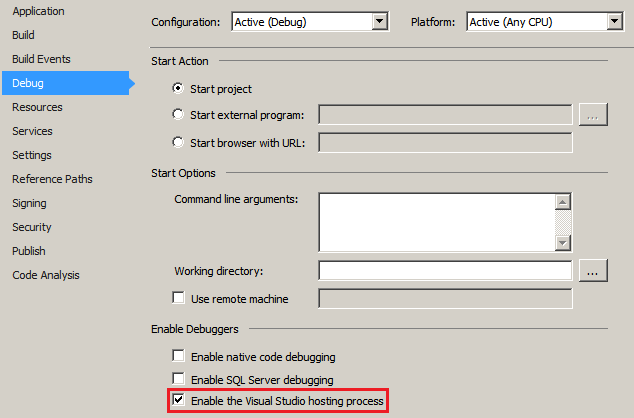 Changes to environment variables are not always forwarded to running processes, so it might be necessary to restart your IDE (for example Visual Studio) to make your licence key take effect. When your IDE (for example Visual Studio) is using a hosting process to debug your application, your Product and Company licence keys will not work (all other licence keys will work fine, though). The recommended solution for this problem is to have a User, Site or Academic licence key ready in the environment variable. Tinman 3D uses exceptions. Make sure you catch and report those in your application. Uncaught exceptions will terminate the application, usually leaving no or little error trace. The Demo Application shows how to catch exceptions properly. These sanity checks are only active in DEBUG mode. When running in RELEASE mode, invalid parameters or calls can easily corrupt memory and crash the application. Please make sure to run in DEBUG mode at least once; then you will get proper exceptions, and you can identify the error source. The licence protection module of Tinman 3D uses encrypted data which must be unlocked with a valid licence key. Encrypted data is automatically unlocked when the application needs to access it for the first time. This can lead to unpredictable error situations when no valid licence key is available. First, call LicenceKey on LicenceDomain.Tinman for each one of your licence keys. Then, call Unlock resp. TryUnlock explicitly so you can handle any errors up-front. Tinman 3D uses lazy initialization, for example for serializable types and config types. Some entity is referenced from outside of the application (e.g. serialized in a file or created from source code in a config script), but has not been initialized yet. To fix this, use the IPleaseIncludeInBinaryThanks interface to force initialization up-front: call PleaseIncludeInBinaryThanks on all TinmanModules your are using. This initializes the top-level module of the application. Since each module instance references its dependencies and the top-level module has already been initialized, this will initialize all other modules, too. The dependency graph of the modules can be queried via Dependencies. OS freezes while importing geodata. If you are using the Geodata Processor on Windows to run a bulk import of geodata, the filesystem cache may grow until application code gets paged to disk. This kills runtime performance and the system freezes. Please note that this is not problem of Tinman 3D. This problem can be avoided by importing geodata incrementally, instead of running a single import process for hours or days. Also there are some tools available on the web that can help fixing this, for example SetSystemFileCacheSize. We use YouTrack as our online bug-tracking system. Please have a look there to see if your problem has already been reported. Please tell us as much as possible about the context that led to the problem. If necessary, please provide us with information about the computer system you are using. You can use SystemInfo for this. The exception message and/or stacktrace. If you get a TinmanException you can use the ToString method for this. An important person once said: "To fight the bug, we must understand the bug." If you provide us with code that triggers the bug, we will be able to fix it quickly.